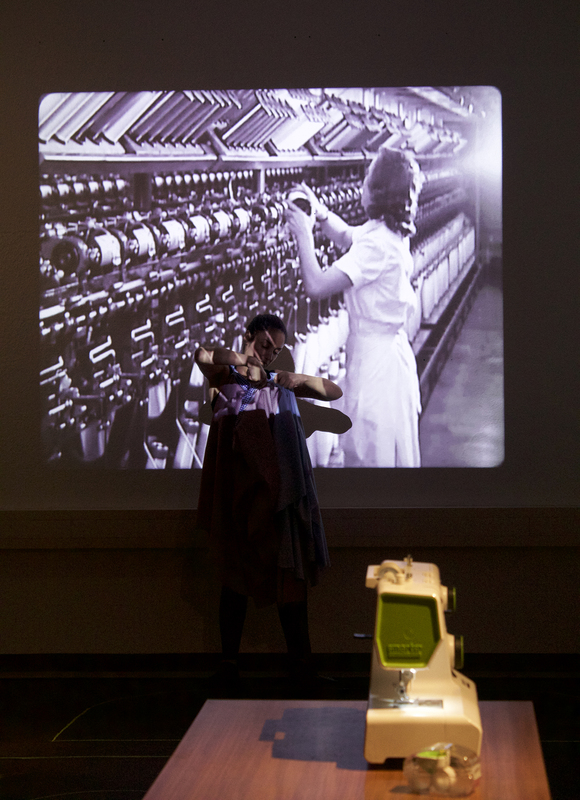 This art installation is about the women`s double bind at the Viscose between 1920-1950. They were caught between a hard place and a rock. On the one hand they were expected to be an efficient worker at Viscose Factory and in their free time they were trained in home economics lessons. Both their public and private life was dominated by the dictates of economic efficiency. Whether at home or at the factory, their bodies function. They are becoming objects for others to use. My art installation symbolically reflects the conditions in which “Nimble Fingered Factory Girls” were taught how to be a good, efficient housewives. A special focus is put on the house dress which women wore at the time. It is an Apron like dress. It was used both at home in the home economics courses and at work in the viscose Factory. It is like a uniform. A packaging that is wrapped around the women`s/object`s body. 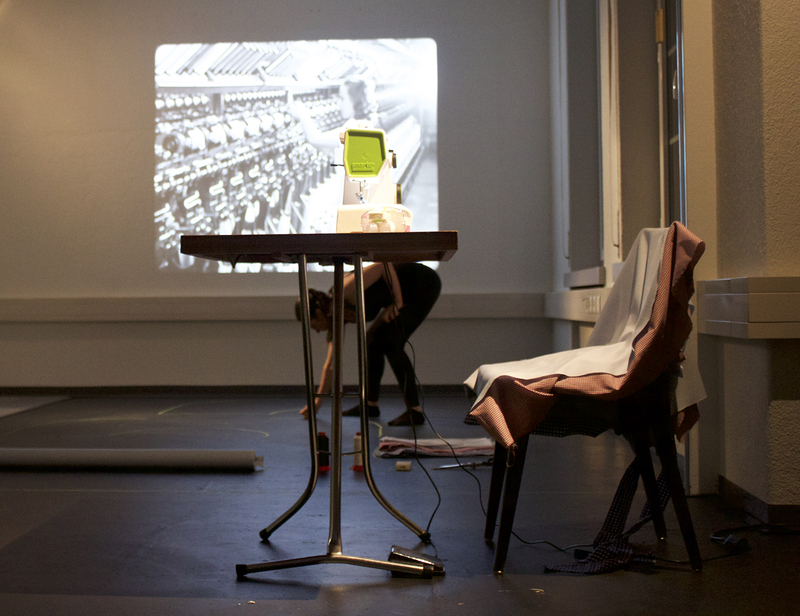 In this context, my performance wants to highlight both the context in which women were objectified and how they contributed with their own experiences and creativity to that process of objectification. Preparing the dress, drawing the patterns with the chalk on the blackboard symbolizes the women`s contribution. 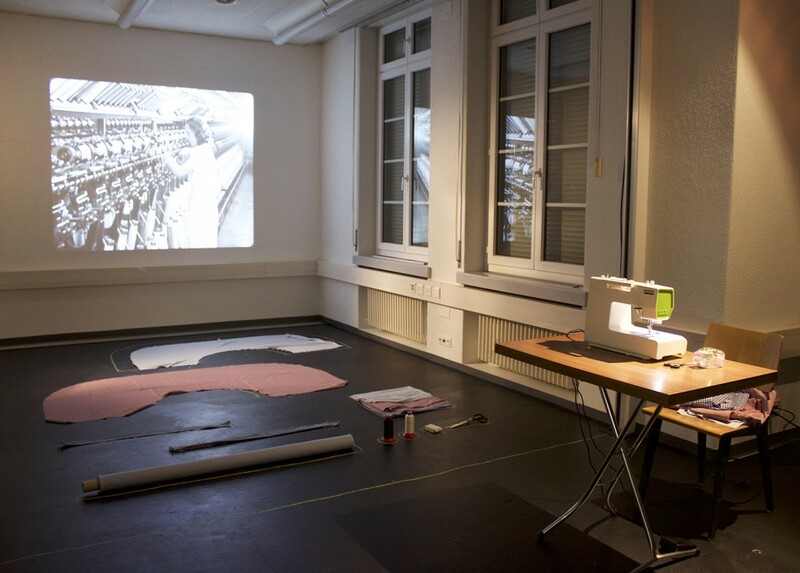 In the end I cut the dress from my body and resign the pieces to the patterns which is drawn on the blackboard floor. As a modern independent women, I need to reject question and potentially reject a role in the objectification of my own body.